The Windows 8 Release Preview is out and everyone wants to check it out. Not everyone has an extra computer to install beta versions of Windows on and not everyone wants to install unproven software on their main machine. That's all completely understandable but it doesn't get Microsoft's latest operating system into your hands. 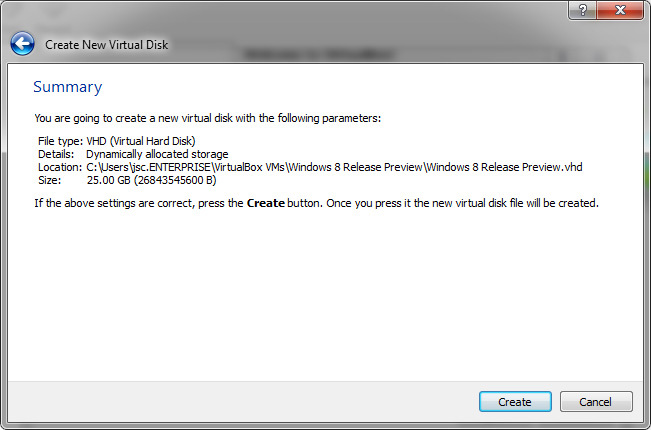 Virtualization is one way to get Windows 8 running on your machine with little effort and zero expense. While virtual machines can get complected, very little or none of that is necessary to get Windows 8 set up. 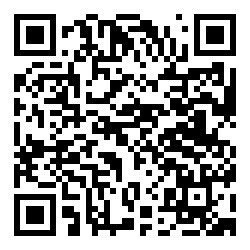 Follow the guide below and you'll be fumbling with the Windows 8 Metro interface before you know it. 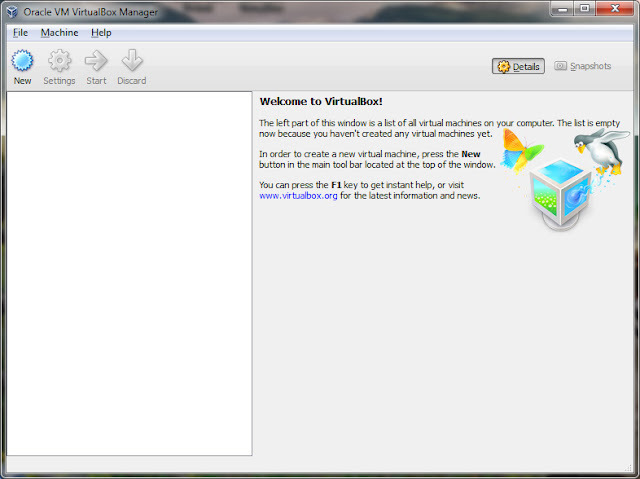 There are several makes of virtualization software. We're going to use Oracle's Virtual Box. 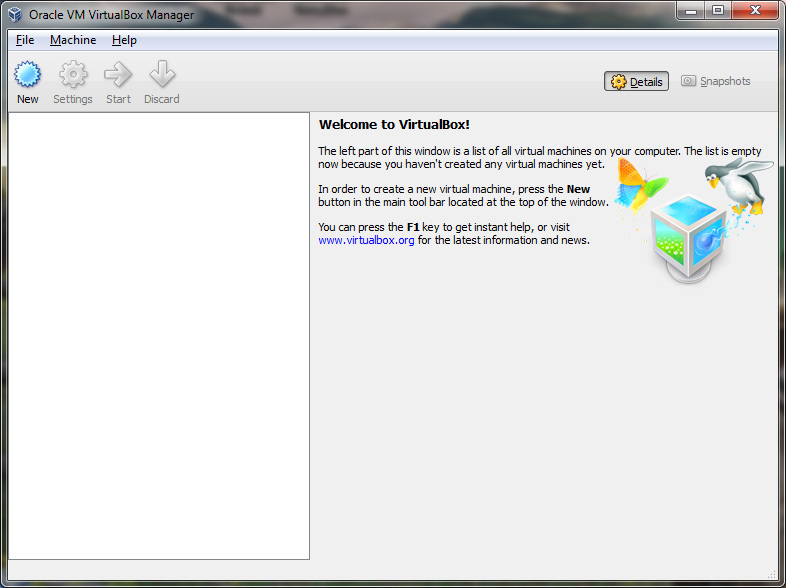 See http://www.virtualbox.org to download the software. The system requirements for Virtual Box are pretty easy to meet but having a CPU that has built in virtualization support wont hurt. I think all of Intel's Core i processors support virtualization and many of the the Core2 CPUs do as well. The more memory you have the better and you'll need about 25 GB of free hard drive space. 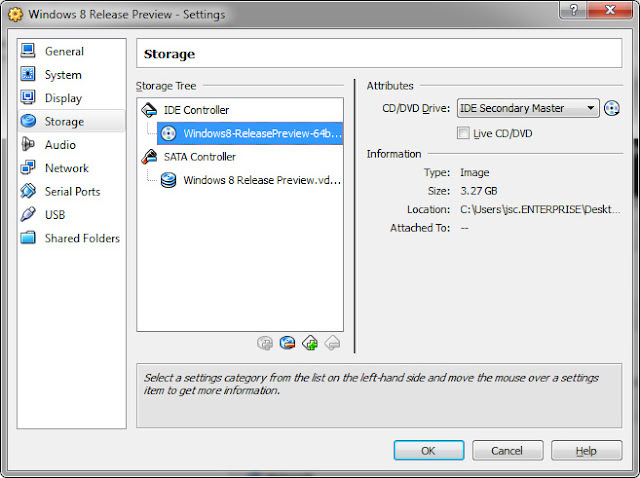 You'll also need to download an ISO image of the Windows 8 Release Preview. Note the activation key and which version of Windows 8 (32bit or 64bit) you download. 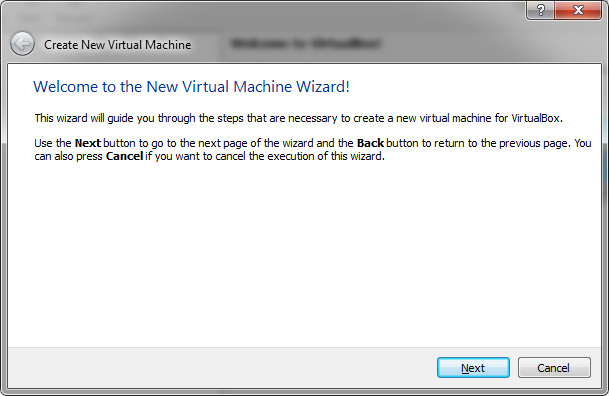 After installing and running the latest version of Virtual Box click the "New" button in the upper left hand corner of the screen to start the New Virtual Machine Wizard. 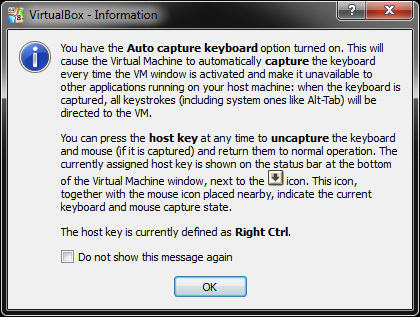 Enter a name for your new virtual machine. Under "OS Type" select "Microsoft Windows" and the select the appropriate version to match your Windows 8 Release Preview ISO. 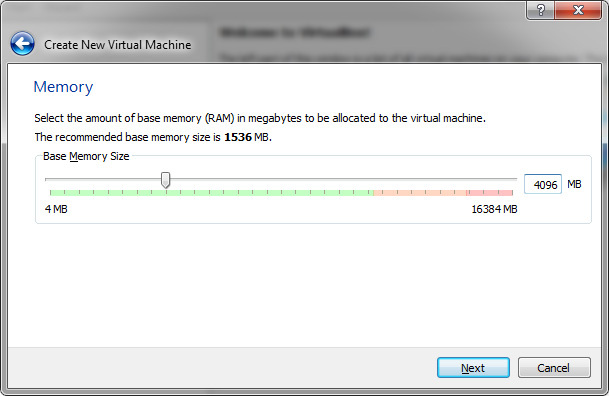 Select the amount of memory you want to use for your virtual machine. Windows 8 requires at least 1024 MBs of RAM. If your host machine has 4 GB or less, 1024 MB to 2048 MB are good choices. 32bit Windows cannot use more than about 3.5 GB of RAM. Anything over 3500 MB is wasted unless you're installing the 64bit version of Windows 8. 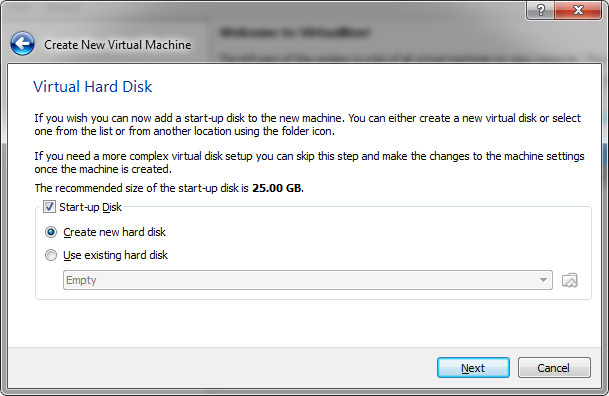 Check "Start-up" disk and select "Create a new hard disk" to begin setting up a new virtual hard drive. 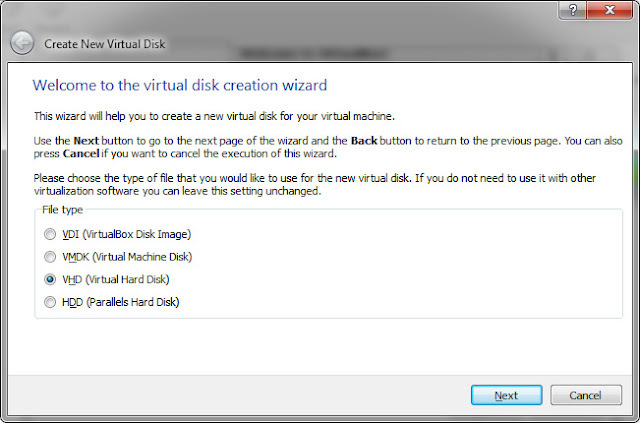 Make sure you select "VHD (Virtual Hard Disk)". Other selections might require additional drivers. 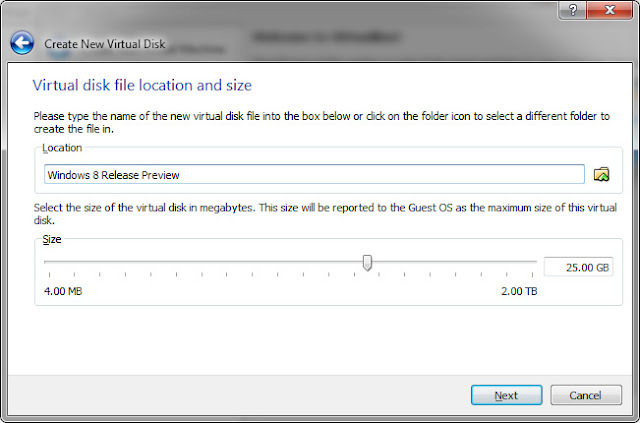 Select which ever virtual disk type makes sense for your system. If you have the space, select "Fixed size". 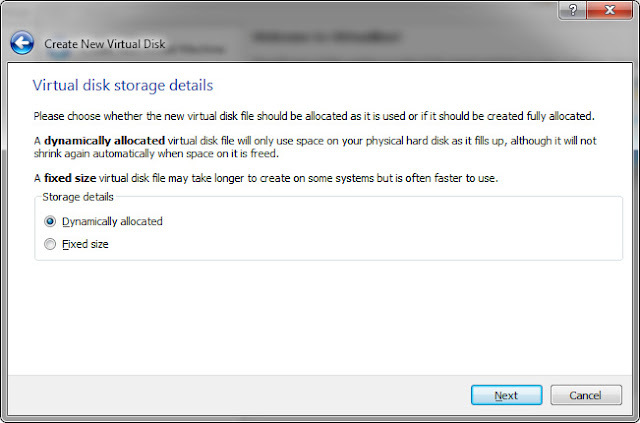 If space on your physical drive is limited, set the storage details to "Dynamically allocated". You can leave the virtual disk location to the default setting unless you need to put it on a different physical drive. Set the size of the virtual disk to something that allows room for the operating system to grow and extra space to install any applications you want to try out on Windows 8. 25 GB is a good starting point. Create the new virtual disk. 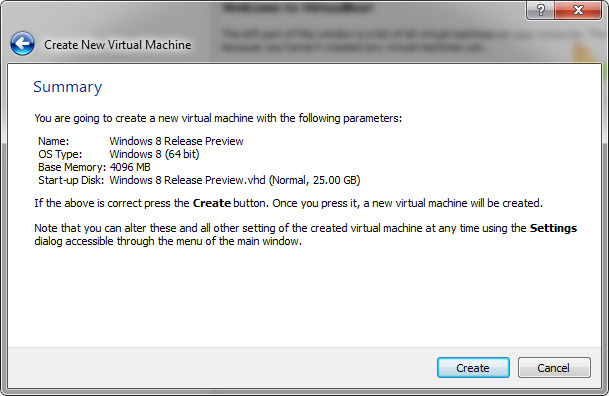 Create the new virtual machine. Once you've created the virtual machine and a virtual disk, the virtual machine wizard ends and you're returned to the Virtual Box Manager. 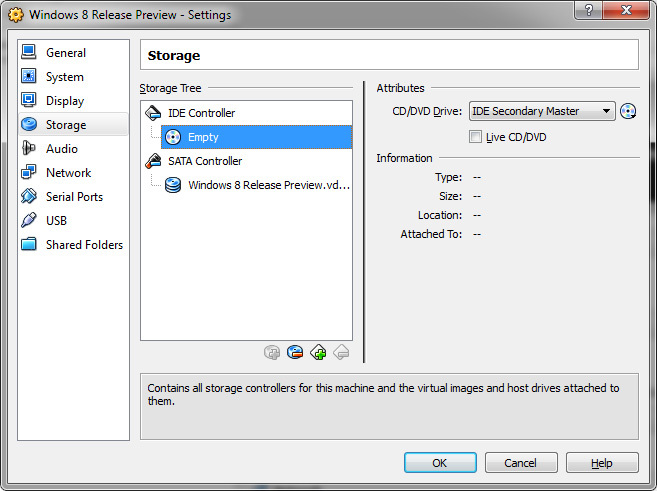 To mount the Windows 8 ISO image, click the word "Storage" near the middle of the window. 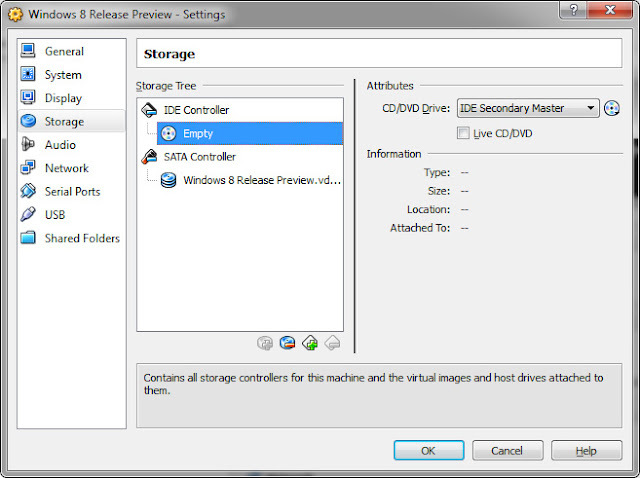 Click on the "Empty" optical disc icon under the "IDE Controller" to highlight it. Click the optical disc icon in the "Attributes" pane on the right half of the window and select "Choose a virtual CD/DVD disk file..." from the submenu. Browse to the Windows 8 Release Preview ISO image file and click the "Open" button to mount the ISO. Click OK to finish mounting the Windows 8 ISO. Make sure your new virtual machine is highlighted in the left pane and click the "Start" icon to power up the virtual machine. 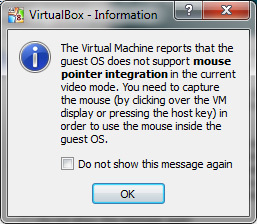 As the virtual machine starts you may get some errors and warnings regarding missing drivers, color depth, and the way your host OS and guest OS are going to handle mouse pointer integration. Make sure you read these enough to know what's going on before closing them. Missing drivers can be added later or after shutting the machine down the virtual hard hardware can be disabled in the Virtual Box Manager. 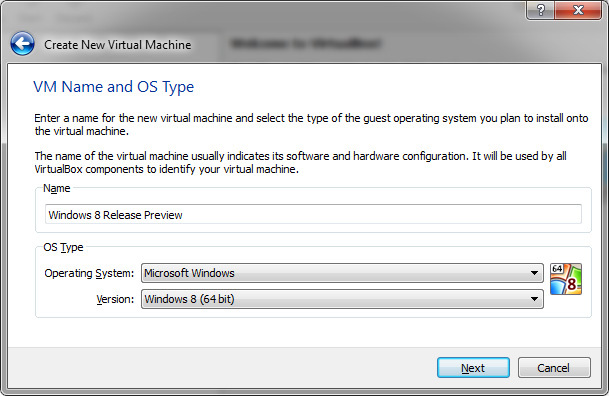 At this point your virtual machine should boot into Windows 8 setup and you can install Windows 8 Release Preview. Once setup is complete and the machine boots into Windows 8, I recommend changing the power settings so that Windows doesn't try to spin down the hard drive, put the computer to sleep, or turn the display off. This caused problems with my setup. Otherwise, you should have a functional virtual machine to check Windows 8 out on.